The Leibniz Institute on Aging - Fritz Lipmann Institute (FLI) is one out of 20 institutes within the Leibniz Association whose research relies on animal models. Our research aims at understanding the biological processes that underlie aging. We also want to develop new therapies, medical treatments and technologies that enable aging in good health. Like in all other Leibniz institutes working with animals, FLI scientists take their responsibility for the welfare of their animals very seriously. Veterinarians and animal care takers do their very best to provide our laboratory animals with optimal living conditions in their housing environment at the animal facilities. Animal experiments are only performed if no alternative methods, like cell cultures, biochemistry or computer modeling, are applicable to answer the scientific questions. Very often, this is the case for investigating human diseases like cancer, diabetes or neurological decline in dementia or Alzheimer disease, which are caused by very complex and systemic processes in an organism. The institutes of the Leibniz Association inform the public in a transparent and open way about their work with animals. At FLI, we regularly publish press releases that explain specific findings and methods as well the use of respective animal models. For the protection of laboratory animals, all animal experiments are strictly regulated in Germany and have to pass a detailed and very strict application process. The respective authorities thoroughly evaluate, that the experiments are methodologically without any alternative, the animal is affected as little as possible, and the number of animals is reduced to the minimum amount necessary. Importantly, every Leibniz Institute working with animal models has an Animal Welfare Committee as well as at least one Animal Welfare Officer that monitor compliance with the regulations. 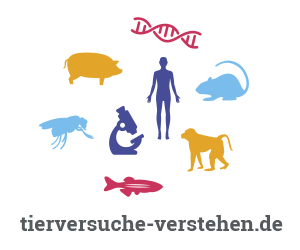 For further details and explaining videos on animal research in the Leibniz Association, see the website "Tierversuche in der Leibniz-Gemeinschaft"
Statement of the Initiative "Tierversuche verstehen"